Several years ago, I met Jen Auerbach and her business partner, Adriel Denae. Owners of Clary Collection, they have achieved amazing success in the hyper-competitive skincare industry. In just a few short years, they went from kitchen-based start-up to a growing product line available worldwide and feature articles in Vogue, Allure and InStyle. It all started when these moms decided to solve a problem that was plaguing their day-to-day lives. I recently asked Jen to share with me the secret ingredient to Clary’s success. Her answer, transparency. There’s no doubt, her answer is simple, insightful, and rare. Don’t believe that it’s rare, take a look at this weeks Wall Street Journal article about a French regulator hitting Google with a $57 million fine for the company’s lack of transparency about how they were using customer data. I invite you to read her words and think about how they relate to you, your organization, and the customers you serve. I would like to start by defining what transparent means to me, “having thoughts, feelings, or motives that are easily perceived.” I should probably also start by introducing myself. 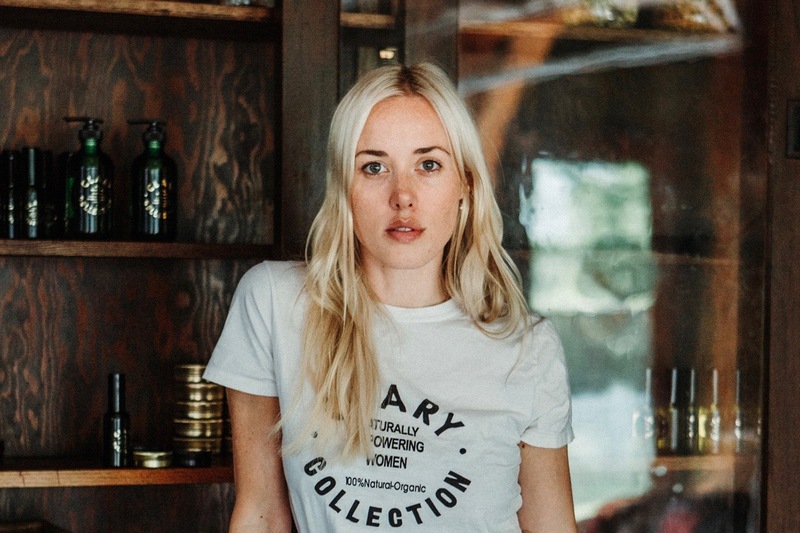 I am Jen Auerbach, CoFounder of Clary Collection, an Organic skincare company that started in a small apartment kitchen with my business partner Adriel Denae and quickly spread across 100+ stores nationwide and internationally. Transparency was the drive behind creating Clary. Our transition into motherhood sparked many changes in us, one of which was a new awareness of the value of clean skincare products for ourselves and our families. Recognizing that the skin is the body’s largest organ and that it absorbs a lot of environmental toxins we set out to source clean organic skincare. However, we continually came up short. The “organic” market is saturated with claims of purity, but oftentimes “clean” products still contain irritants and harsh extracts. There was no transparency, there was a huge blanket over our eyes. These are the findings from the 2018 Fashion Institute of Technology’s annual Capstone Research Presentations, delivered by students in the Master of Professional Studies program in Cosmetics and Fragrance Marketing and Management (CFMM). At Clary we are making transparency an art, we actually want our consumers to question our company’s ingredients. We highlight our ingredients proudly on the front of all packaging. This is a way to cause consumers to take a closer look at the ingredients in our formula and to make Clary users feel empowered by educating themselves with our safe ingredients. I recently spoke at a wellness panel called Wellspring for Wanderlust. I was discussing clean beauty alongside Alicia Silverstone of My Kind organics, Lindsay Dahl the VP of social and Environmental Responsibility at Beauty Counter, moderated by Meika Hollander Founder of Sustain. During this panel, it became clear to me that this younger generation is listening and asking questions about what they are buying. Not only is transparency important regarding what’s inside your products, for me how you sell a product to such a vulnerable market place full of young susceptible minds is just as important. IF there was a cream that made you look 20 lbs lighter or 30 years younger maybe this wouldn’t be a problem. This cream does not exist, and if it did I would be homeless having spent my life savings on it!! How are demands for greater transparency showing up in your industry, business, and team? When calls for transparency appear, what has been your response, how has that response worked, and what might you do differently in the future? What trends are emerging among the customers you serve and how can you leverage those trends to achiever both your goals and those of your customers? What are 1-3 actions you and your team can take right now to better understand the needs of your customer and create more transparency? Jen is co-founder of Clary Collection and a sleep deprived mother. Jen and her business partner, Adriel, learned about the remarkable herb Clary Sage. Derived from the Latin word clarus, meaning “clear,” Clary Sage is used to ease the tension of fluctuating hormonal cycles and to balance the strength of their tides, bringing a sense of calm and clarity. In those early days of motherhood, Clary was a window into a new world. And so it became our namesake.